Miguel A. Quiñones, MD, MACC, FASE is the Winters Family Distinguished Centennial Chair in Cardiovascular Education. 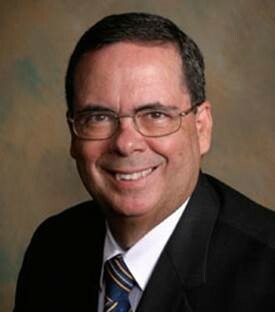 Dr. Quiñones has been one of the pioneers in the field of echocardiography over the past 40 years. He has received significant worldwide recognition for his groundbreaking contributions in echocardiography, both as a teacher and as an investigator in developing noninvasive, echocardiographic methods to measure left ventricular volumes and ejection fraction, cardiac output and regurgitant volumes in mitral and aortic insufficiency. From 1977 to 2005, Dr. Quiñones rose through the faculty ranks at Baylor College of Medicine and The Methodist Hospital, leading the development of Methodist’s world-class echocardiography laboratory. In 2005, Dr. Quiñones joined the Methodist Hospital Physician Organization in affiliation with Weill Cornell Medicial College at the Houston Methodist DeBakey Heart & Vascular Center, Houston Methodist Hospital and established the new Department of Cardiology, becoming the first Chair. Under his leadership, the department grew to an impressive roster of world-class faculty, engaged in ground-breaking research. He served as Chair until 2016, when he stepped into a new role as Editor-in-Chief of the Methodist DeBakey Cardiovascular Journal. Dr. Quiñones has authored or co-authored over 250 peer-reviewed manuscripts and has contributed to writing groups that provide guidelines for the practice of cardiology, including chairing the writing group for the American College of Cardiology (ACC) & American Heart Association Document that established criteria for Clinical Competence in Echocardiography. Dr. Quiñones has served on the Board of Directors of the American Society of Echocardiography (ASE), the ACC, and the Executive Board of the Interamerican Society of Cardiology. In 2012, the ACC awarded Dr. Quiñones its highest distinction of Master of the American College of Cardiology (MACC), and ASE honored him with its Lifetime Achievement Award. Improved Detection by Delayed-Enhancement CMR of LV Thrombus Post-MI Is This the Answer to Stroke Prevention? Evaluación de la función auricular izquierda mediante imágenes de strain: ¿Está lista para ocupar un "lugar estelar"? Role of Echocardiography in Predicting Onset of Heart Failure in Patients With Stable Coronary Artery Disease. Is the Whole Greater Than the Sum of its Parts?